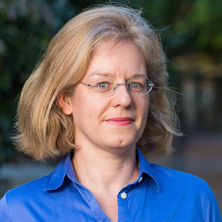 Dr Sabine Matook is an Associate Professor in Information Systems at the UQ Business School, University of Queensland. She received her doctoral degree from the Technische Universität (TU) Dresden, Germany. Sabine Matook's research interests are in agile information systems development, human behaviour in online social networks, and the IT artifact. She is an Associate Editor with the European Journal of Information Systems and is the research paper program chair for the 2019 European Conference on Information Systems as well as the general track chair for the 2017 and 2018 Australasian Conference on Information Systems. She has held visiting positions at the University of Arizona (Eller College of Management), Georgia State University, University of Louisville, Vienna University of Economics and Business Administration, Austria, and at the University of La Serena, Chile. Dr Matook's work has appeared in the European Journal of Information Systems, Information Systems Journal, the Journal of Strategic Information Systems, Information & Management, the International Journal of Operations & Production Management, Decision Support Systems, and the Scandinavian Journal of Information Systems. Dr Matook has presented research papers at a variety of international conferences, including the International Conference on Information Systems. This research field focuses on the software development under the agile methodology paradigm. I study interpersonal relationships and particularly commercial friendships in agile teams, governance mechanisms for the team, critical success factors in agile ISD, lean agile development, issues related to distributed development teams and team performance. This research field focuses on social media and particularly online social networks as a technology for humans for their leisure and work. I examine behaviour of collectives and individuals in social media, the use and adoption of the technology, change is network structures over time, and possibilities for innovative usage. Soltani, Sheida, Matook, Sabine and Maruping, Likoebe M. (2018). Emotional intelligence in agile information systems development. In: International Conference on Information Systems, San Francisco, CA, USA, (). 13-16 December 2018. Andrias, Mone, Matook, Sabine and Vidgen, Richard (2018). Towards a typology of agile ISD leadership. In: 26th European Conference on Information Systems: Beyond Digitization - Facets of Socio-Technical Change, ECIS 2018. 26th European Conference on Information Systems, ECIS 2018, Portsmouth, , (). June 23, 2018-June 28, 2018. Andrias, Mone, Matook, Sabine and Vidgen, Richard (2018). Towards a typology of agile ISD leadership in large-scale ISD projects. In: European Conference on Information Systems, Portsmouth, United Kingdom, (). 23-28 June 2018. Agile development is praised as a method that superiorly handles rapid and constant change in all aspects of the development process. It requires that the team possesses high levels of trust and can rely blindly on each other’s knowledge and skills. As a result, very little knowledge is codified in documents and rahter resides with the individual. Thereby team members need to be able to tranform the disruptive changes into positive energy for the development process and product. At the same time, a newly formed team lags the trust necessary to be high performing and able to manage the frequent change demands from the beginning of the project. Little research exists about questions such as those below which could be the topic for a higher degree research thesis (MPhil or PhD). 1) How can an agile software development team become early on a high-performance team? 2) What factors increase and decrease team performance in agile teams? 3) Why and how do agile software development teams outperform traditional-waterfall development teams? Please contact Dr Sabine Matook if you are interested in pursuing one of the outlined research topics in a higher research degree program with the UQ Business School. Agile development is a development method that focuses on the team and their interactions as a means to develop software under conductions of frequent changes in project scope and customer requirements. Agile software development teams are small, cohesive teams (seven to nine professionals) that develop software in weekly iterations in a collaborative manner with little formal control. These team members are highly intrinsic motivated to achieve their shared goal of delivering software to satisfy customer needs. 1) What factors contribute and impair the formation of different workplace relationships in agile software development teams and what is their impact on team performance? 2) How does an agile software team ensure motivation and avoid effort-withholding of their team members? 3) What aspects of the agile method and workplace relationships impact on the flow of development critical information in and out of the team? Worldwide, more than half of all Internet users regularly use social media applications to connect, interact, and exchange information online with others. Social media applications, such as Facebook and Twitter, have emerged to satisfy the desire of people to form and maintain personal relationships online. However, not all online relationships are lasting and a user’s behaviors may positively and negatively affect different aspects of any online relationships. 1) What factors – for example physical appearance or similar interests – impact on the formation of an interpersonal relationship in an online environment? 2) How do people decide who to add as a ‘friend’ and thus, give access to their online social media network? 3) What behaviors but also characteristics, e.g., personality affect on how people use social media? Zumpe, S. and Esswein, W. (2002). Quality Levels of Electronic B2B Marketplaces. In Weinhardt, Christof and Holtmann, Carsten (Ed. ), E-Commerce: Netze, Markte, Technologien (pp. 117-126) Germany: Physica Verlag. Matook, Sabine and Maruping, Likoebe M. (2014) A competency model for customer representatives in agile software development projects. MIS Quarterly Executive, 13 2: 77-95. Matook, Sabine and Vessey, Iris (2008) Types of business-to-business e-marketplaces: The role of a theory-based, domain-specific model. Journal of Electronic Commerce Research, 9 4: 260-279. Zumpe, S. and Madlberger, M. (2007) Serving travellers better online. Information Age, 48-52. Matook, Sabine, Soltani, Sheida and Maruping, Likoebe (2016). Self-organization in agile ISD teams and the influence on exploration and exploitation. In: International Conference on Information Systems, Dublin, Ireland, (). 11-14 December 2016. Matook, Sabine and Vidgen, Richard (2014). Harmonizing critical success factors in agile ISD projects. In: Smart Sustainability: The Information Systems Opportunity. AMCIS 2014: 20th Americas Conference on Information Systems, Savannah, GA, United States, (). 7-10 August 2014. Madlberger, Maria and Matook, Sabine (2012). Creation of utilitarian value with online and offline transaction phases. In: CONF-IRM 2012 proceedings. International Conference on Information Resources Management (CONF-IRM), Vienna, Austria, (13.1-13.11). 21 - 23 May 2012. Madsen, Sabine and Matook, Sabine (2010). Conceptualizing interpersonal relationships in agile IS development. In: ICIS 2010 Proceedings. International Conference on Information Systems (ICIS) 2010, Saint Louis, Missouri, U.S.A., (). 12-15 December 2010. Krell, Katharina and Matook, Sabine (2008). On the impact of strategic planning on mandatory is investments. In: , , (1516-1524). .
Matook, Sabine and Brown, Susan A. (2008). Conceptualizing the IT artifact for MIS research. In: D. Te'eni and F. Rowe, ICIS 2008 Proceedings. 24th International Conference on Information Systems ICIS 2008, Paris, (1-11). 14-17 December 2008. Zumpe, Sabine and Kautz, Karlheinz (2008). In search of information systems development theory: A framework to understand agile software development in practice. In: Asproth, V., Axelsson, K., Holmberg, S., Ihlstroem, C., Lindblad-Gidlund, K. and Sundgren, B., 31st Information Systems Research Seminar in Scandanavia - Public systems in the future - possibilities, challenges and pitfalls. 31st Information Systems Research Seminar in Scandanavia, Ostersund, Sweden, (1-14). 10-13 August, 2008. Matook, Sabine and Kautz, Karlheinz (2008). Mindfulness and agile software development. In: P. Cragg and A. Mills, 19th Australasian Conference on Information Systems (ACIS) - Creating the Future: Transforming Research into Practice. 19th Australasian Conference on Information Systems (ACIS), Christchurch, New Zealand, (638-647). 3-5 December 2008. Krell, Katharina and Matook, Sabine (2008). On the impact of strategic planning on mandatory IS investments. In: J. Parsons, AMCIS 2008 Proceedings. 14th Americas Conference on Information Systems AMCIS 2008, Toronto, Canada, (1-9). 14-17 August 2008. Zumpe, S. and Madlberger, M. (2007). A transaction-based framework for business models in electronic commerce. In: Tan, F. B., Thong, J. and Janczewski, L. J., Proceedings of the 11th Pacific Asia Conference on Information Systems (PACIS 2007). 11th Pacific Asia Conference on Information Systems, Auckland, New Zealand, (106-121). 4-6 July, 2007. Zumpe, Sabine and Van der Heijden, Hans (2007). On the use of variable user goals to measure perceived usefulness. In: H. Öesterle, J. Schelp and R. Winter, Proceedings of the Fifteenth European Conference on Information Systems. Fifteenth European Conference on Information Systems, University of St Gallen, St Gallen, Switzerland, (1334-1343). 7-9 June, 2007. Zumpe, Sabine and Ihme, Diana (2006). Information systems maturity in e-business organizations. In: J. Ljungberg and M. Andersson, Proceedings of the Fourteenth European Conference on Information Systems. European Conference on Information Systems, Gotteborg, Sweden, (1703-1710). 12-14 June, 2006. Zumpe, S. and van der Heijden, H. (2006). Integrating variable user goals into user acceptance models. In: M. Schoop, Proceedings of RSEEM 2006: 13th Research Symposium on Emerging Electronic Markets. Research Symposium on Emerging Electronic Markets, Stuttgart, Germany, (). 23-25 September, 2006. Esswein, W., Zumpe, S. and Sunke, N. (2004). Identifying the Quality of E-Commerce Reference Models. In: Marijn Jannsen, Henk G. Sol and René W. Wagenaar, ACM International Conference Proceeding Series. Sixth International Conference on Electronic Commerce, ICEC 2004, Delft University of Technology, Netherlands, (288-295). 25th - 27th October, 2004. Companies worldwide discover online social media applications as a means to get closer to their consumers and connect with suppliers and customers more easily. Social media communities are used to develop software collaboratively, to promote a new product via Facebook, or hire a financial manager through LinkedIn. Despite the various benefits that stem from social media use, it bears risks and challenges for companies and users alike. Nevertheless, social software applications have become an integral part for individuals and companies – now they need to know how to explore, manage, and exploit social media to benefit from them and generate value. 1. What benefits can users and companies generate from their memberships in different social media applications? 2. How are social integration, trust, and closeness achieved in anonymous social media applications, such as open source software communities and healthcare communities? 3. What is the role of social media in a company’s supplier and customer relationship strategy?